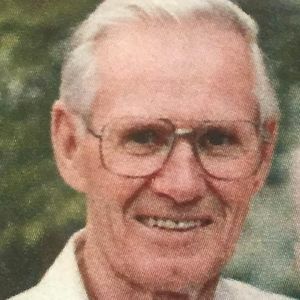 Raymond Rouwhorst, 96, passed away peacefully on April 7, 2019. Ray was born November 18, 1922, to John and Gertrude Rouwhorst. He served his country in the U.S. Army during WWII in Europe as a member of the Third Army. Ray was a charter member of Holland Heights Christian Reformed Church where he served as an elder and a deacon. Ray and his wife Cynthia volunteered for Bibles for Mexico and the CRWRC/World Renew for many years. Ray was preceded in death by his wife of 72 years, Cynthia, in 2018, their son, Vince Rouwhorst; an infant son Russell; and an infant granddaughter Kathryn Richards. Ray is survived by his children: Dale & Gloria Rouwhorst Karen & Daniel Richards; daughter-in-law, Debra & Daryl Rooks, 7 grandchildren, 8 great-grandchildren; sister Hazel Bloemers, in-laws: Alaine Knoll, Zella & Laverne VandenBrink, Yvonne & Leverne Bauman, Coral & Lester Swierenga. Funeral services with military honors will be held at 11:00 am, Friday, April 12, 2019, at Langeland Sterenberg Funeral Home, 315 E. 16th St. Holland, MI 49423. A time of visitation with the family will precede the service from 10:00-10:45 am. Interment will be in Restlawn Memorial Gardens. Memorial contributions may be to World Renew or Holland Heights CRC. Add your thoughts, prayers or a condolence to Raymond's guestbook.